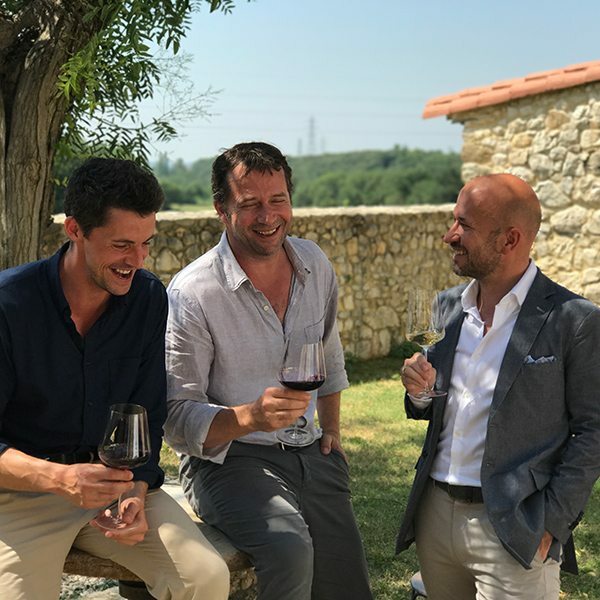 The Wine Show returns to our screens at 7pm on Channel 5 on Friday 12th January. 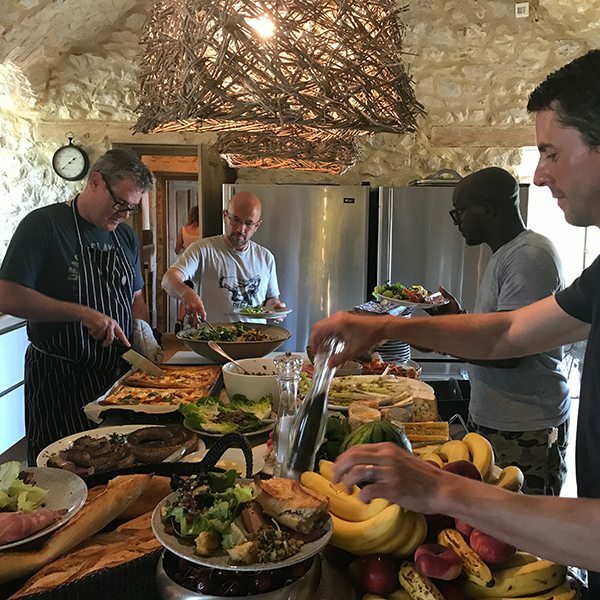 Last June, Delicious columnist Kay Plunkett-Hogge was asked to provide the catering in a Languedoc château for the crew. What could possibly go wrong? I had forgotten the effects of spending sixteen hour days standing on stone floors. Ankles so swollen that they’d make Ena Sharples’s look like a dainty ballerina’s. I should’ve been ruing the day producer Melanie Jappy persuaded me to come down here. But, with the offer of eight days in the Languedoc cooking with all that fabulous French produce, I hadn’t needed much persuading to begin with. Thank God for French pharmacies! They seem to have creams for everything. Including a bad case of Sharples-itis. 2. Crews are gossipy things, which is tremendous fun. But they have their own omertá. Certain stories are not allowed to leak. In our case, it was that Steven Spielberg had snapped up the lovely Matthew Rhys for a part in The Post (he’s terrific in it, by the way), and the equally lovely James Purefoy was taking his place. No tweet, text, instagram or in fact anything could feature James, at least until those at Wine Show Towers had told the waiting world. Which must have been tricky for James himself, who’s quite a prolific tweeter. At least he had a glass of wine to occupy his hands. 3. Matthew “do you mind if I call you darling” Goode is a very naughty boy. Full of wry jokes and scatter-brained bonhomie. You could do a lot worse than having him hang out between takes in your kitchen. 4. Joe Fattorini has a fine collection of T-shirts with oblique movie references printed upon them. 5. 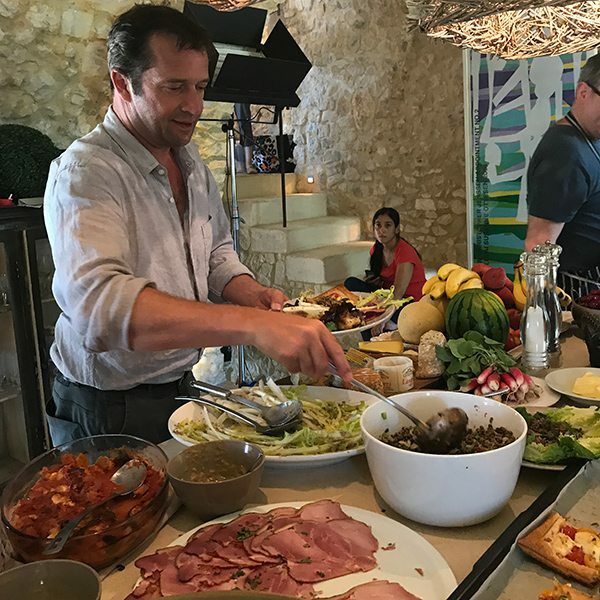 James Purefoy can pretty much fit himself into a freezer to cool down. He also does a fine fried egg. 6. When cooking for this many people, be ready to take requests. One very simple baked goat’s cheese and endive dish had to be repeated twice. However when, after two days of the actors’ eating nose-to-tail in Lyon, word came back to us that they could “murder a Cobb salad”, I must confess to raising my eyebrows slightly when Mr. Goode asked me why I’d served him one for lunch.